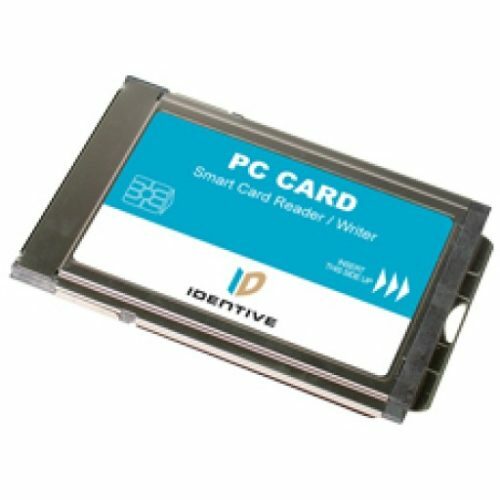 The SCR3310 continues the line of Identive’s (formally SCM Microsystems) market-leading smart card readers based on the STC II smart card interface chip. 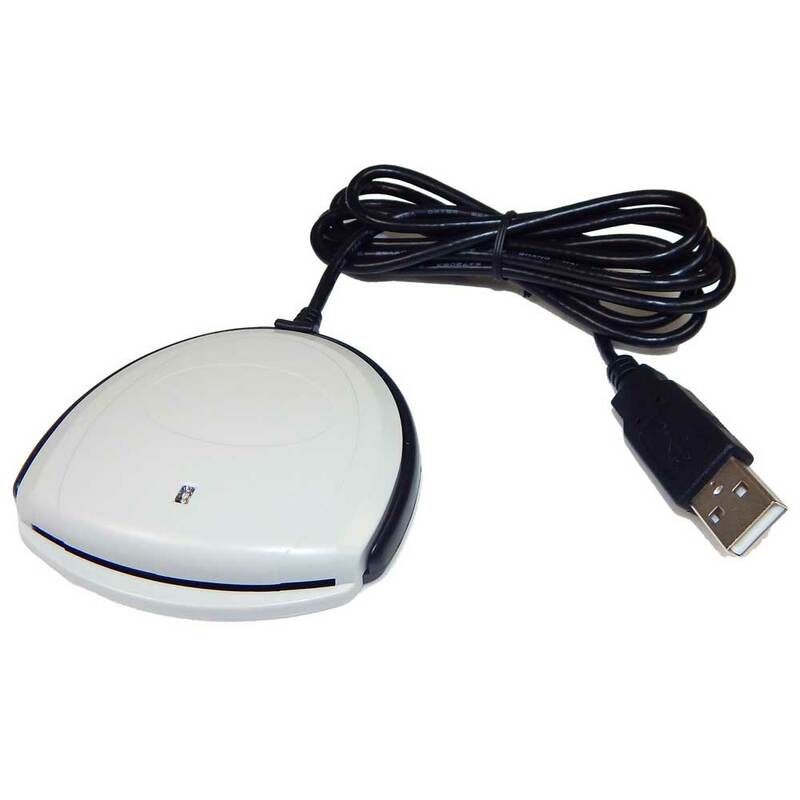 The smart card reader is small and ergonomic USB smart card readers, with backside mounting holes. 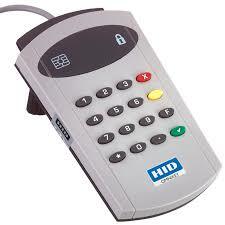 The card reader is ISO7816 compliant, and works with all major ISO7816 smart card in ID-1 (CR80) format. The smart card reader also allows in-field upgradeable firmware. The SCR3310 smart card reader supports multiple security applications including PKI, digital signature and personal identification, all in a compact, mobile device. 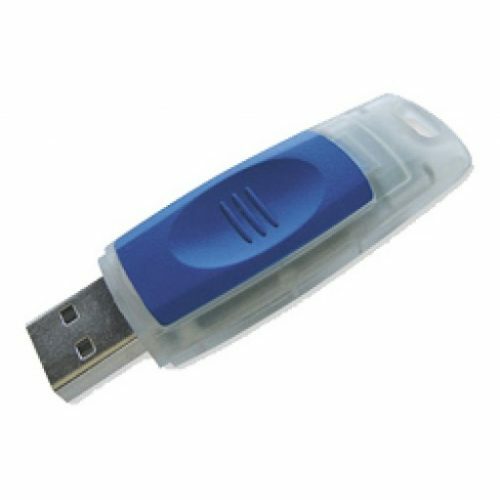 The SCR3310v2.0 card reader includes support for USB and all relevant security standards; the interface is CCID and PC/SC as well as EMV2000 Level 1 compliant. The EMV certification recommends the reader be used for applications with banking transaction or credit card payment. 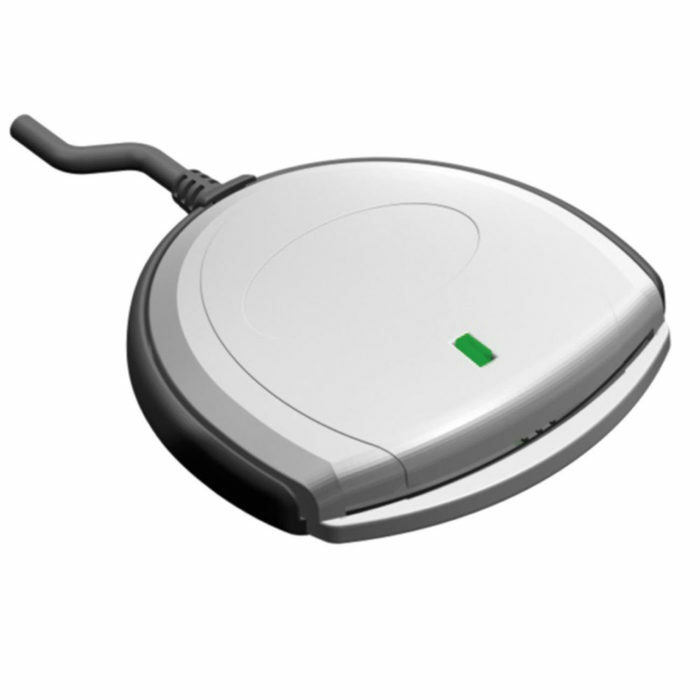 Compact and elegant, the SCR3310 Smart Card Reader offers the best price/performance ratio in the market. Together, these features enable high performance, cost effective programs for secure logical access in any environment. The SCR3310 is compatible with CaC, PIV, CIV, Java Card and all T=0/1 smart cards. 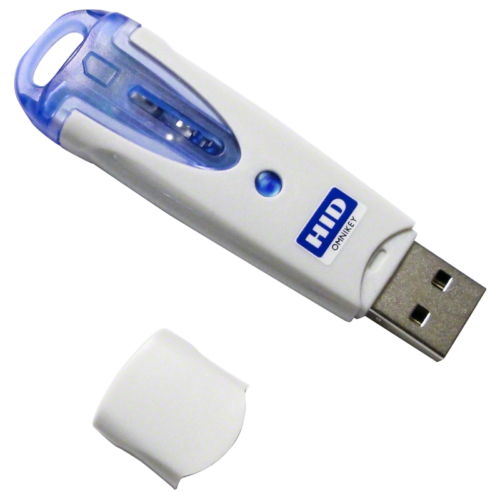 Suitable for a wide range of governmental, enterprise and home usage applications. Due to its design, the readers are also ideally suited to be bundled with smart cards and smart card software SDK’s to support large scale projects roll outs. Typical applications areas are electronic ID, social security and loyalty programs, e-Couponing, secure network log on, e-Banking as well as online shopping and gaming activities. The SCR3310v2 is a popular choice for contractors doing a large roll out smart cards and readers. 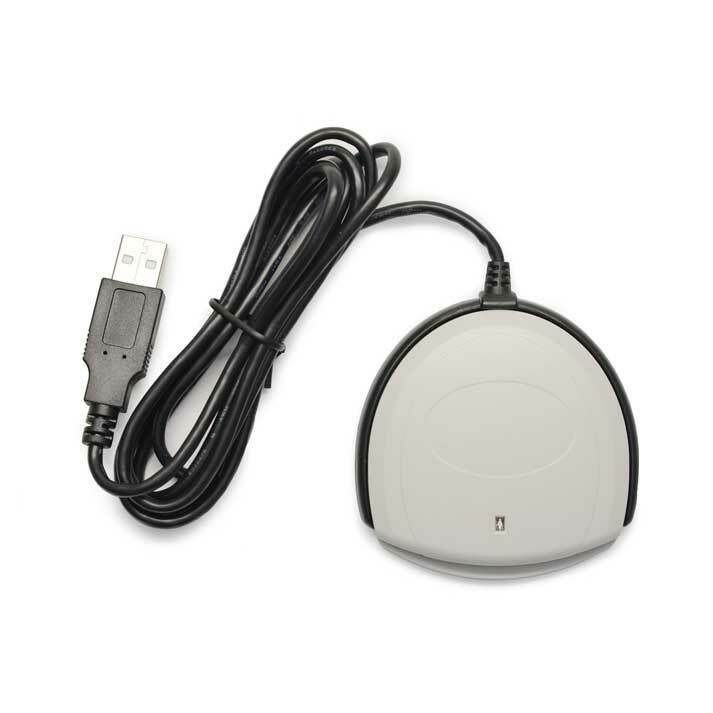 Works great as a Department of Defense (DoD) CAC smart card reader. It is also is a popular choice for those needing to log into an Army AKO account. Identive Group, Inc is a provider world’s broadest range of contact, contactless and mobile smart card reader and terminal technology, digital identity and transaction platforms, as well as solutions that integrate physical and logical access control. Identive’ss smart card-based products and solutions are utilized around the world to enable security and identification applications, transaction systems, eHealth- and eGovernment programs and physical access systems. We also offer a range of smart card-based security, productivity and time recording solutions for small and medium-size businesses under our retail CHIPDRIVE® brand. Identive ID is committed to conducting business in a manner consistent with the efficient use of resources and materials, and the protection and preservation of the natural environment for future generations. Through a policy of continuous improvement, the implementation of environmental management programs, and the setting of targets and objectives, Identive ID strives to meet and exceed all relevant environmental laws, regulations and agreements in reference to its activities, products and services.